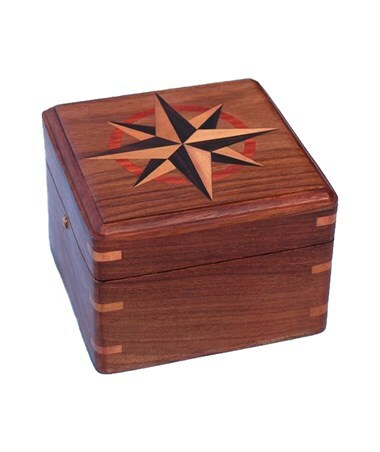 The Stanley London Large Hardwood Case features a handsome hand inlaid compass rose as an option for a display case. 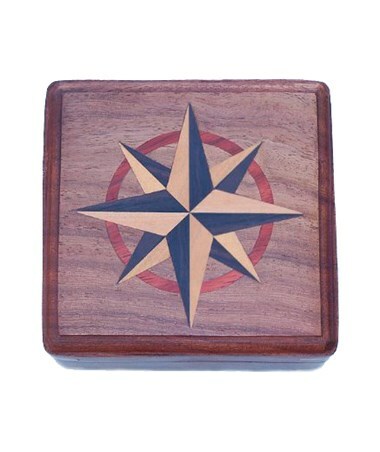 Each compass rose is unique and will have slight variations since they will be inlaid using similar hand tools to those used 200 years ago. 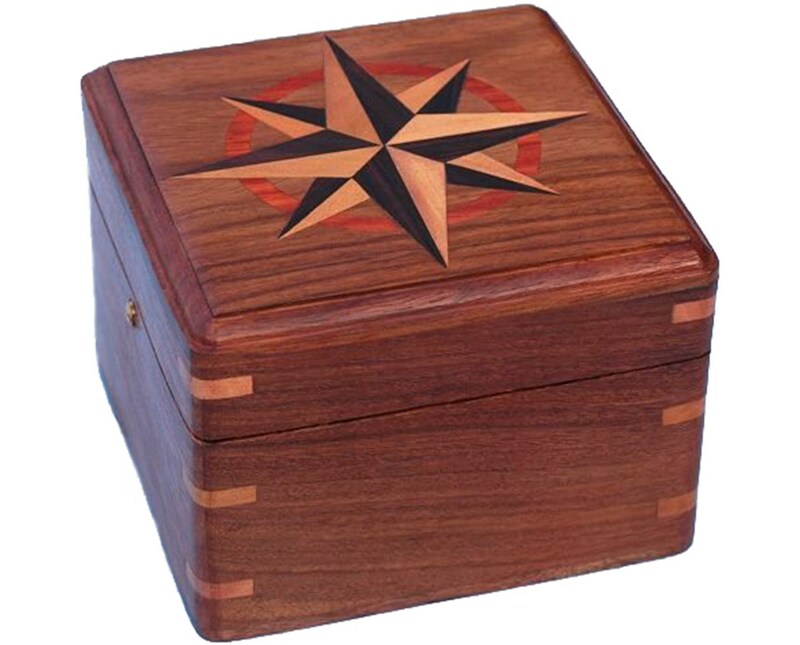 This hardwood case is 2 1/4 inches tall with the lid closed, 3 7/8 inches square, and weighs 7.5 ounces. 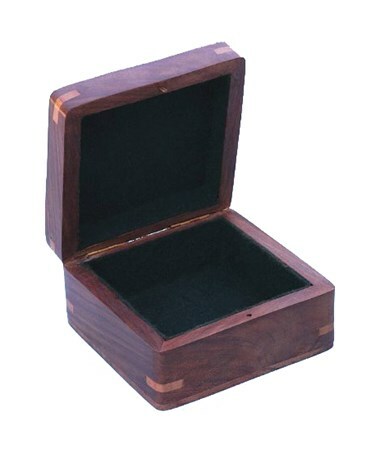 It makes a beautiful storage or display case for jewelry, watches, collectible coins, and more.